We recently learned that Gunnery Sgt. Richard A. Jibson would become the latest Marine to receive the Navy Cross for heroism in Afghanistan. The Secretary of the Navy will present the award during a ceremony tomorrow at Marine Corps Air Ground Combat Center Twentynine Palms, Calif.
Navy Hospital Corpsman 3rd Class Andrew Owensby, a sailor who worked Jibson to save the life of a wounded comrade during a five-hour fire fight in Mazr Abad Janubi, Afghanistan, will receive the Bronze Star for the same action. Their jaw-dropping medal citations and summaries of action which give minute-by-minute breakdowns of their actions that day are a must read. The two repeatedly risked their own lives to save fellow troops and repel an enemy attack during a joint operation with Georgian and Afghan forces that we wrote about Friday. “Throughout the multiple engagements over the ensuing five hours, [Jibson] bravely left covered positions and crossed open terrain many times under withering small-arms and machine gun fire to provide suppressive fire, inspire his comrades and direct the fire and maneuver of the entire coalition force,” his citation reads. “When a fellow Marine was shot in the head by an enemy sniper, Gunnery Sergeant Jibson fearlessly charged into a hail of enemy machine gun fire, pulled the exposed wounded Marine to cover, and then assisted a corpsman in rendering emergency measures to stabilize him,” reads Jibson’s Navy Cross citation. Owensby also performed selflessly that day. He restored the Marine’s pulse and stabilized him for 45 minutes until casualty evacuation arrived. That is just one of many things — detailed in their summaries of action — the two of them did that day to earn their well-deserved valor awards. Semper fi. And Marines are Marines. Not troops!!! Hero’s do wear camo, SEMPER FI. Amazing! I would like to thank them for their service. All of them. 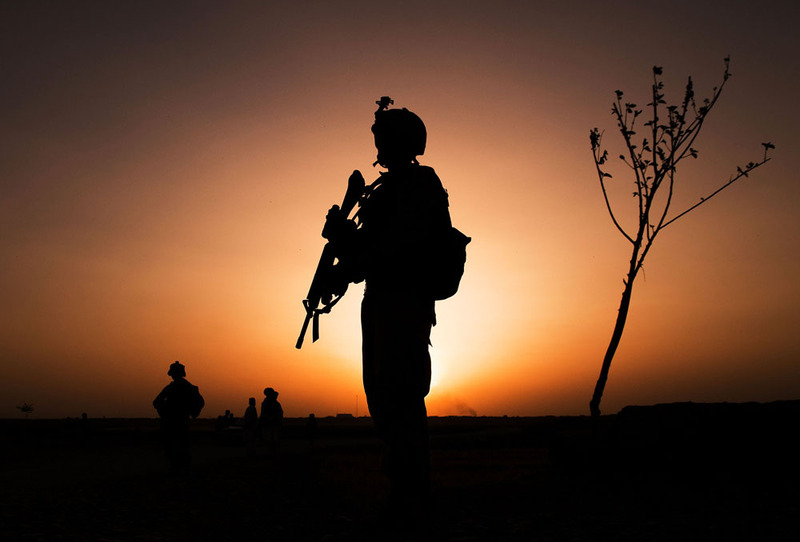 Battle Ready – another account of a former Marine turned Navy Seal and Corpsman in Afghanistan. An excellent read!! As A SEAL and combat medic, Mark served his country with valorous distinction for almost 25 years and survived some of the most dangerous combat actions imaginable. From the rigors of BUD/S training to the horrors of the battlefield, Battle Ready dramatically immerses the listener in the unique life of the elite warrior-medic who advances into combat with life-saving equipment in one hand and life-taking weapons in the other. It is also an uplifting human story that reveals how a young Hispanic American bootstrapped himself out of a life that promised a dead-end future by enlisting in the military. That new life begins with the Marines and includes his heroic achievements on the battlefield and the operating table, and finally, of his inspirational triumph over the demons caused by Post Traumatic Stress Disorder that threatened to destroy him and his family. Outstanding Gunny and Doc! Proud to be a brother and know that the traditions are safe with the current crop of devildogs and corpsman. Semper Fi says it all!